“The news media in Hungary regularly depicts disadvantaged groups in a stereotyped and prejudiced context, although the number of flagrant cases is rather low” - said lawyer Bea Bodrogi of CivilMedia, a monitoring and legal defence NGO at the roundtable discussion co-organized by the Center for Independent Journalism, the Goethe Institute Budapest and the Hungarian Editors’ Forum. She added that her organization filed four complaints related to prejudiced and stereotyped portrayal of the Roma community to the Media Council, but all of them were rejected on various grounds. 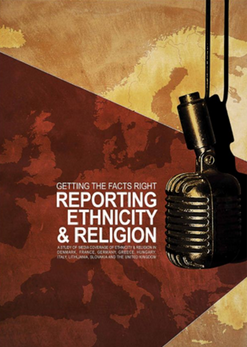 More than 50 media professionals, NGO activists, legal experts and researchers attended the discussions in Budapest on the ethical dilemmas of journalists and editors face when reporting on ethnicity and religion. The event was a part of the project ’Civil Society & the Media Working Together to Fight Ethnic and Religious Discrimination in the EU’, implemented by the Media Diversity Institute (MDI) with partners, including the Center for Independent Journalism, Budapest. The project is co-funded by the Open Society Foundations.